Chrisman Framing offers personalized custom picture framing services in the Portland, OR area for fine art, photographs, prints, posters, shadowboxes, and more. We'll help you choose the right design, color, and materials to put your art in its best light. Whether you’re looking for a small frame or something to showcase an entire wall, Chrisman offers the perfect blend of expertise and artistic elegance to help you arrive at just the right option. Custom Picture Framing is an art form at Chrisman Framing. Our skilled designers can help you create a unique picture frame design for your favorite artwork. We offer museum quality materials and an impressive selection of frames so you can find the perfect style. With more than 40 years of industry experience and a steadfast commitment to personalized customer care, our locally owned and operated, custom frame shops have helped countless satisfied customers make the most of their memories and decor. With over 40 years of combined professional experience and a dedicated, attentive staff, we'll strive to make finding the right frame and mat combination for your art and photo project an easy and enjoyable experience. We love framing, but most of all we enjoy giving your framed art or memorabilia a unique character all its own. We want you to be proud of your finished artwork and treasure it as much as we do your business! Come visit one of our locations in the Portland, OR area for a free framing consultation with one of our friendly, knowledgeable staff members. Since 1972, we have been helping customers in Portland, Oregon to frame their photos and artwork. Over the past 32 years, we have established a reputation for high quality work and exceptional customer service. Still locally owned and operated by the Chrisman family, we are proud to continue our tradition of craftsmanship and friendly service to our community. 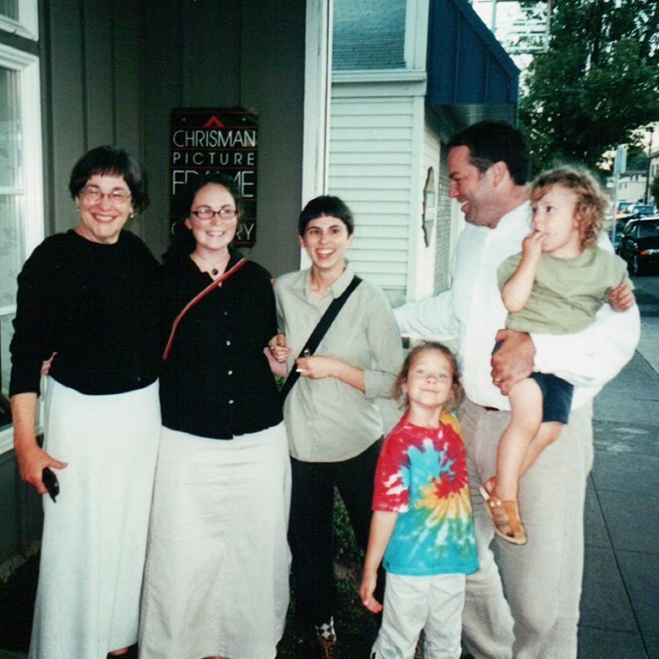 A few family pictures taken over the years at Chrisman Framing. © 2016 Chrisman Framing. All rights reserved. and low and behold there is a Chrisman framing near us in Sellwood. Can't express the thanks enough for the excellent framing we have had done here."